Hi!After taking a long break from my blog i came across the Pantone color chart for 2014,the beauty of this palette breathed life into me.I felt a certain urge to write about these refreshing combination of colors. Discover this seasons beautiful colors. A splendid color that is notoriously famous for its allure and elegance. The color orchid is associated with royalty. 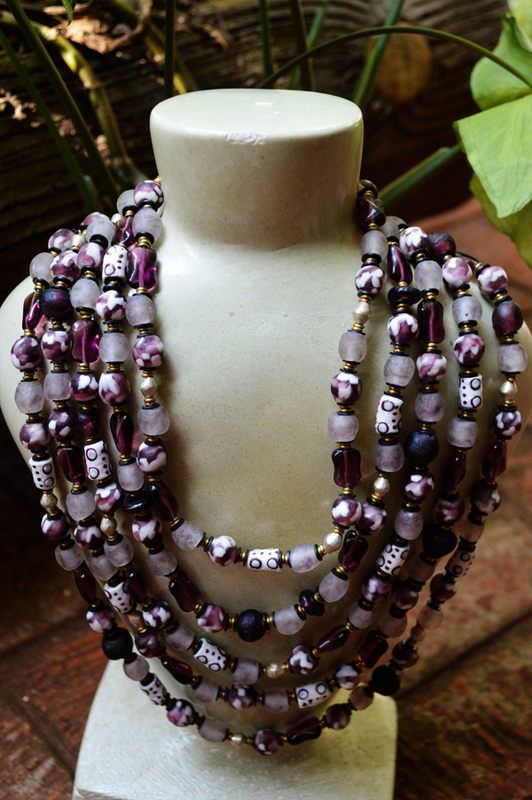 This array of antique recycled beads is emanating the rich radiant orchid color. Each bead is intimately connected to the other by hand cut Brass Giriama rings, held together in the true spirit of African togetherness. Dazzling blue is a resplendent memoir of nature’s exotic ocean. We meticulously blended different shades of blue, gray and a dash of Ivory white. This Afrocentric necklace is inspired by the Ocean; we added Fishbone beads to be in tune with the sea. This shade of color yellow takes me back to the beautiful vegetation floating effortlessly on Lake Naivasha, Crescent Island. Inspired by the beauty and colors, we created a modest piece of jewelry that suits a formal look. 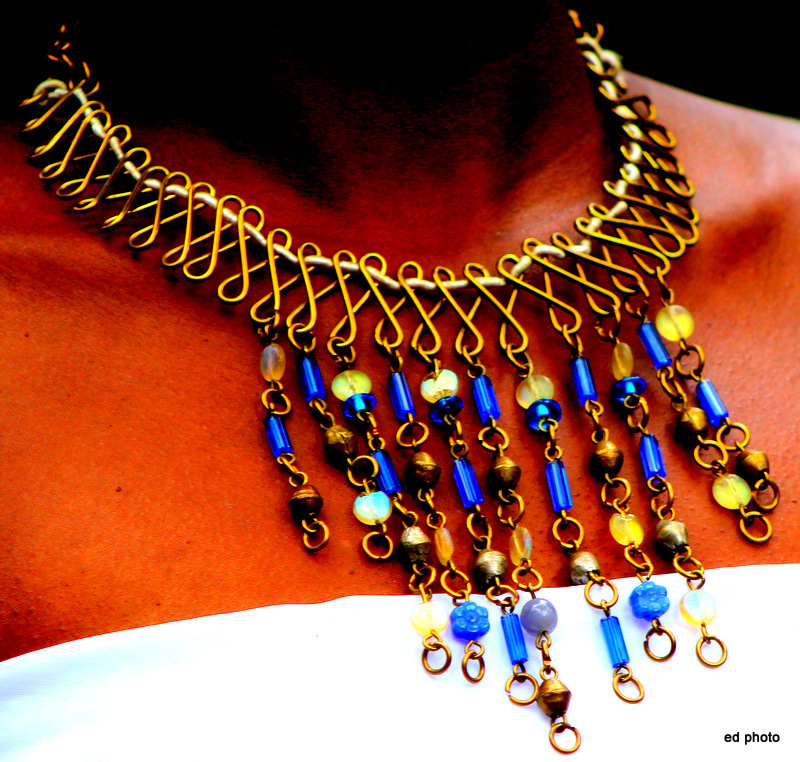 Elegant is the word to best describe this Afrocentric necklace. 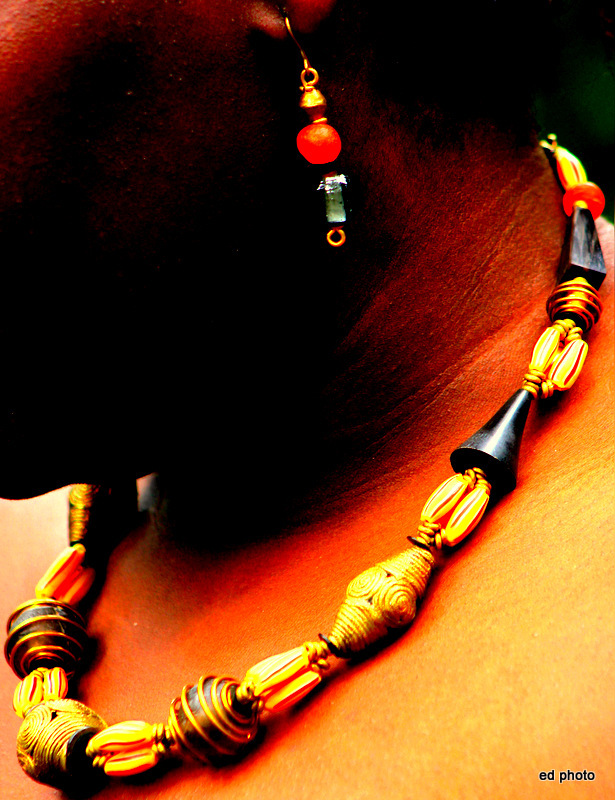 The warmth and mellowness of this color is in line with Tropical Africa’s beautiful weather.In the same spirit we created an African necklace that celebrates our Legacy and Culture and at the same time adds splendor to your look.This African beaded necklace is a rich ensemble of antique Krobo and Segi beads;a one off piece of jewelry. My ideas on how to express these beautiful colors of spring.What is your take?